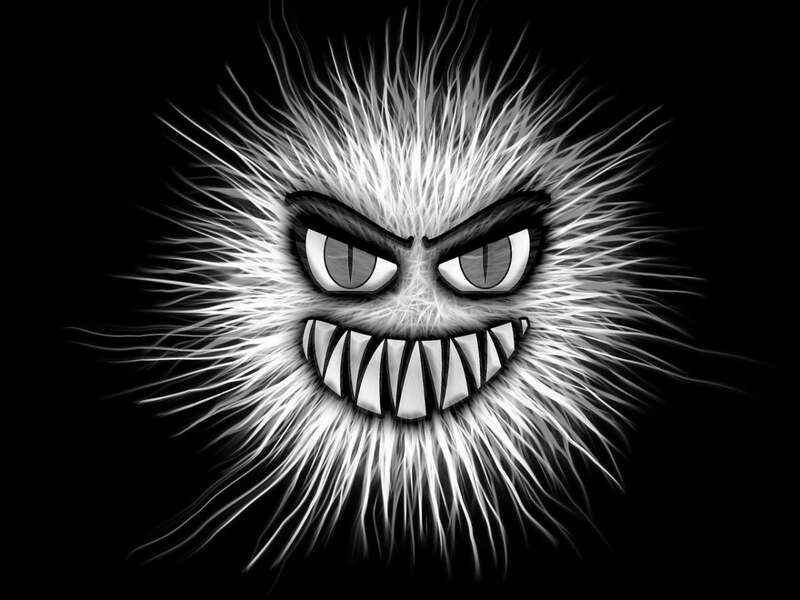 The monsters read your full network traffic flow if they have your keys or you used weak ones. The monsters are in the hidden partitions of USB flash drives left in parking lots and technical conferences. The monsters are in the weakened smartphone OS that most of your users own. The monsters are in the containers you used from that interesting GitHub pull. The monsters are in the Cisco router where the Zero Day lives waiting for the NSA. The monsters are in the fake certificates your user swallowed in their browsers. The monsters are 10,000 CVEs that you never, ever checked. The monsters live inside your kernel, watching for the network traffic that brings them alive from their zombie state. The monsters demand you bring ransom of bitcoin or let your data become toast. The monsters sent a viral payload hidden as a macro in an .xls file. The monsters just sent your domain a barrage of expertly crafted American Express messages, having found your entire email list on something called an onion router. The monsters have penetrated most branches of government and probably both major political parties. The monsters hold hospitals hostage for ransom. The monsters live in patched reference ISO image payloads. The monsters live in short encryption keys. The monsters live in ancient SSL/TLS compatibility. The monsters live in backup media that have never been tested for restoration. The monsters live in VM snapshots. The monsters await the superfluity of IoT devices. The monsters allow tests for EPA emissions to pass, but not in the real world. The monsters demand you swallow all upgrades, patches and fixes, whilst liking it. The monsters find ways to alter your patch, fixes and upgrade source, listing to one of their own. The monsters live in wall warts connected to unmonitored Ethernet ports.